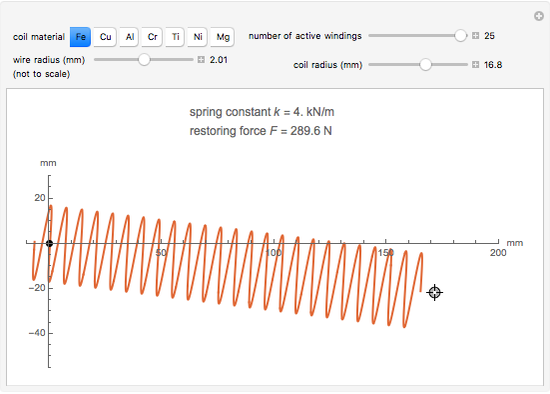 According to Hooke's law, , the restoring force of an extension spring is proportional to its linear extension . 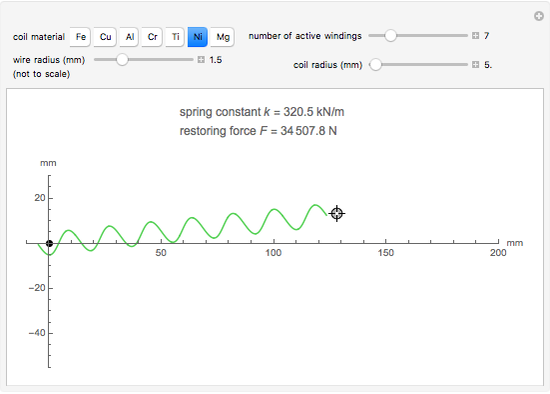 The value is the spring constant and depends on the design parameters as follows: . Here is the diameter of the coil, is the diameter of the wire, is the number of active windings, and is the shear modulus of the material. K. Gopinath and M. M. Mayuram. 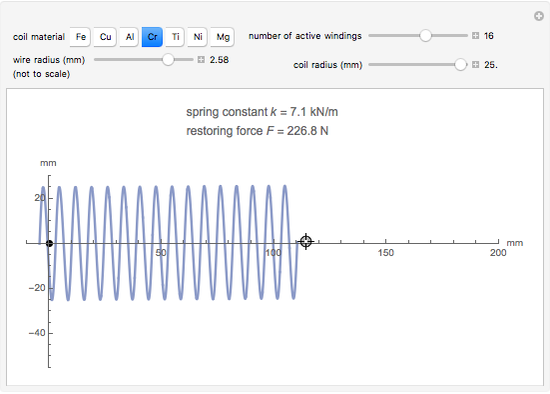 "Helical Extension Springs." Course notes for Machine Design II at the National Programme on Technology Enhanced Learning, India. (May 14, 2012) nptel.iitm.ac.in/courses/IIT-MADRAS/Machine_Design_II/pdf/4_ 4.pdf. Erik Mahieu "Design of a Helical Extension Spring"